What did I give Mum for Christmas 2013? Two brand new uncles, a new aunt, and a flock of cousins in a pear tree! Mum never knew her maternal grandfather as he disappeared from the scene after the birth of his last child in 1905, and the family has never known what happened to him. He was an American born in Boston and in the early 2000s I hired a researcher in Boston who found almost no information except some indication that his mother existed and was a widow in Boston around 1905. Last Christmas while visiting Mum and my sister, I decided to spend a little time searching the web yet again for some clues about him. And I was stunned to discover a marriage certificate for him in Sydney to another woman and then to discover he had a daughter and two sons who in turn had children, my Mum’s new cousins. And they seemed to have lived in the same suburb of Sydney as my Mum’s parents. So my grandmother may easily have bumped into her half-brothers and sisters in the shops. What’s more, he described himself as a bachelor on his second marriage certificate, so he was almost certainly a bigamist. My sister found this quite entertaining http://irenewaters19.com/2014/01/18/weekly-photo-challenge-families/. My Mum’s maternal grandmother, Amelia Cook (1873-1948) married George Francis Stanley-Clarke on 5 January 1897. Mum never knew her grandfather, but always had the impression that he was dead. However, in the 1960s when she visited her uncle Ollie in Queensland, he told her that he thought his father was some sort of ne’er-do-well, who was rarely present in their lives, and another child was born after each visit! Looking at the birth dates of Amelia’s children, this would mean he only visited three times, the last in 1904, and Amelia had a difficult life essentially as a single parent. According to their marriage certificate, George Francis Stanley-Clarke was the son of William Stanley Clarke and Minnie Stanley. His occupation was given as sailor in 1900, although one of his children’s documents described him as a diver in 1925. The family did not know what became of him and my father used to speculate that he was a criminal and his absences were spells in gaol. However, now the surprising truth has been discovered! I discovered a marriage certificate in an online search of the NSW Births Deaths and Marriages database for George Francis Stanleigh-Clarke and then information from online family trees for his new family. 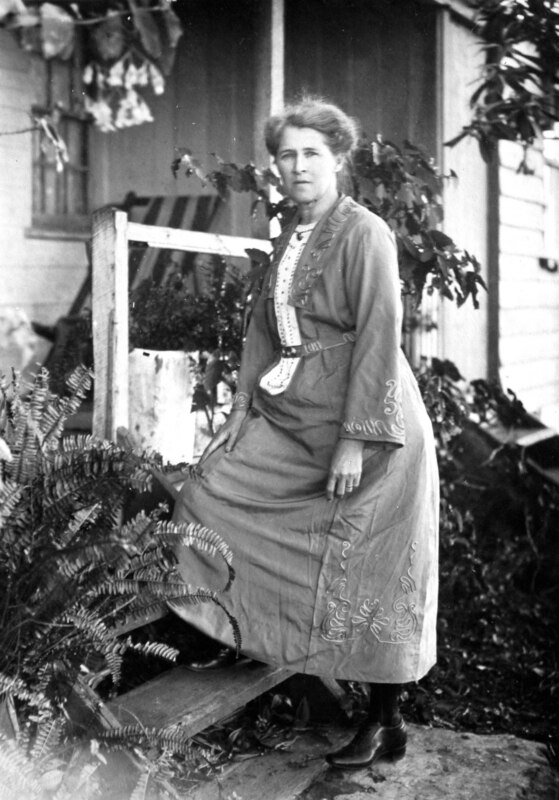 George married Alice May Potter in 1910 in Sydney. They had three children: Connie Valerie Stanleigh-Clarke (1911-1986), Keith Desmond Stanleigh-Clarke (1917-2004) and Lester Kenneth Stanleigh-Clarke (1921-1984). These new aunt and uncles of my Mum produced at least six cousins for her that I have been able to find. 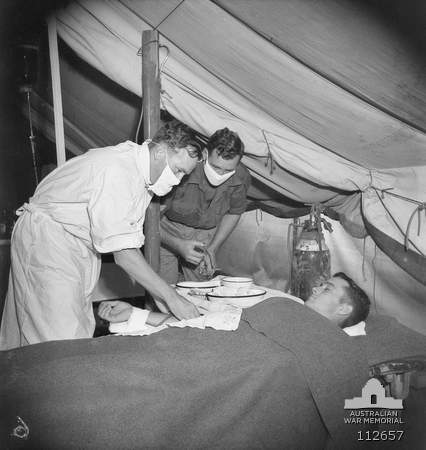 Sergeant Keith Stanleigh Clark (middle) assisting in a field ambulance blood transfusion, Balikpapan, Borneo, 3 August 1945. The various documents I found for George Francis Stanleigh-Clarke gave his occupation as contractor in 1910 and telegraph linesman in 1924. He was also declared bankrupt in the 1920s and died on 17 December 1924 in Chatswood, Sydney. His marriage certificate and death certificate both gave ages that would have made him 10 years younger than the age stated on his earlier marriage certificate in Queensland. Its likely he understated his age on the later certificates, as well as saying he was a bachelor, because otherwise he would have been 12 rather than 22 when he first came to Australia. He may have been trying to reduce the age difference with his 25 year old second bride by saying he was 38 rather than 48. George Francis’s father was listed as William James Clarke on his marriage certificate and as William James Stanleigh-Clarke (Commercial traveller) on his death certificate. His mother was named as Minnie Crosby on both. I think from the matching of the parents names on his two marriage certificates it is quite definite we have the same person. And now that I know his mother’s maiden name, and that his father’s name may have been Stanleigh-Clarke rather than Stanley-Clarke, I may be able to discover more about them. And a search of the Sydney phone directory and Facebook has surprised me how many Stanleigh-Clarkes there are in NSW, some quite young. My grandmother’s brothers both abandoned the hyphenated name in favour of “Clarke”, perhaps some of the other branch did so also and there are even more of them around. 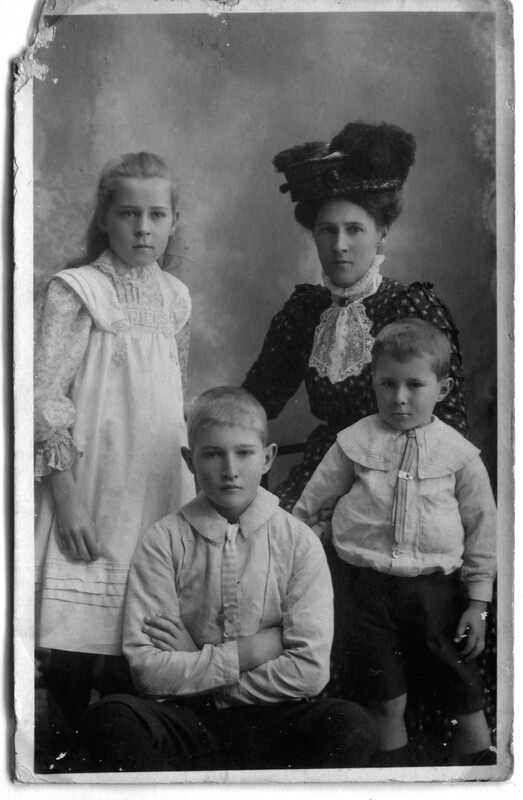 This entry was posted in Mathers family history and tagged ancestry, Mathers family history, Stanleigh-Clarke by colinmathers. Bookmark the permalink. I think it is wonderful. Agree. Certainly an unexpected surprise. I had assumed we might never learn more about him.